What Happened to the classic Jets Ground-and-Pound? 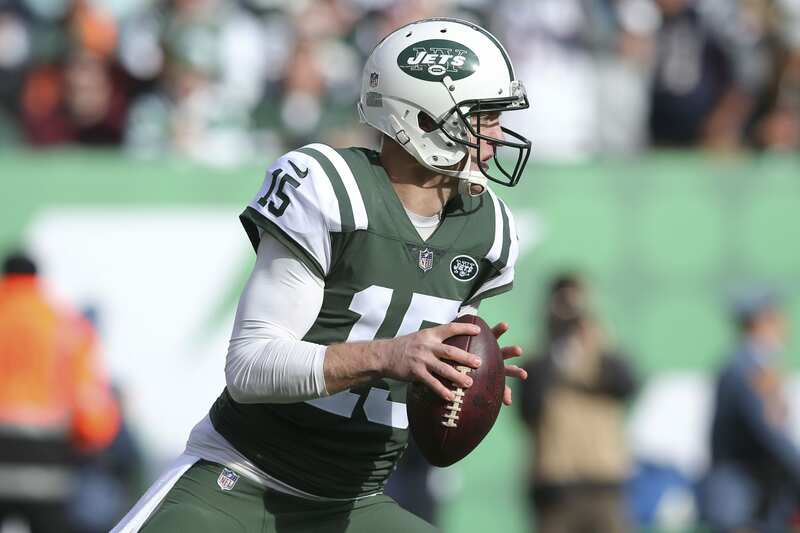 With Sam Darnold sitting out another week, Josh McCown was relied on to lead the Jets in the battle of the ageless quarterbacks. They seem to have relied on him way too much. OC Jeremy Bates opted to have McCown throw the ball 50 times while only calling 12 running plays. This resulted in another lackluster performance from the offense and just 13 points. Look, McCown did unbelievable things last season and even in this game as well. He can certainly run better than Brady, as evidenced by a few first downs he gained with his legs. However, it’s only his second game back this season, and Bates has him pass it 50 times? I understand wanting to get the wide receivers involved, especially with Robby Anderson and Quincy Enunwa both healthy. Still, Uncle Josh, and his offensive line, simply couldn’t hold up against the Patriot’s pass rush for an entire game. So why not get Isaiah Crowell and Elijah McGuire more carries? Sure, Crowell has been pretty inconsistent, but he has to be given a chance to show what he can do. He’s a bruiser who works hard to get those extra yards. And what about McGuire? Running backs coach Stump Mitchell said in the pre-season that Eli is reminiscent of LaDainian Tomlinson. If that’s the case, the Jets need to try to incorporate him into the offense even more. A crucial point in this game came early, when Todd Bowles decided to except a penalty that made it 3rd-and-12 for the Patriots on the Jets’ 34 yard line instead of 4th-and-2 well within field goal range. This cost his team dearly. Tom Brady did what Tom Brady does: throwing an effortless touchdown pass to Gronk, tying the game at 7, and taking a ton of momentum away from the Jets. To be fair, if the call had worked, we probably wouldn’t be talking about it. Even if the Patriots didn’t convert and kicked a field goal from the 34, the Jets still would’ve had a 7-3 lead and maintained confidence. Yet it’s still an odd choice to make in the first quarter of a game. Why not let the Patriots kick a field goal from the 24? Bowles said after the fact that he thought the Patriots would go for it. Come on; this just sounds like an attempt to outthink Bill Belichick. Giving Tom Brady an extra chance to get a first down or more is always a mistake. Belichick simply outsmarted Bowles with a call of his own that turned the game back to the Pats. The Jets gave it their all, even managing to tie the game at the half with another long field goal from Jason Myers. Yet the Patriots outlasted the Jets due to better all-around talent and better all-around coaching.